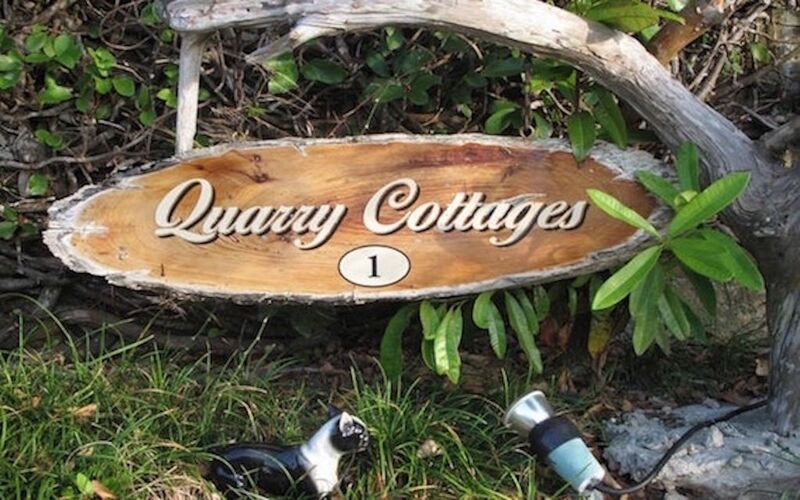 Our conveniently located one bedroom cottages are central of the island of Bermuda. We are just up the hill from Flatts Village where you will find the aquarium, restaurants, dry cleaners, gas station, boutiques & spa. You will have access to our coin operated laundry facility. Internet and cable TV, & bicycle rentals. We also offer a Canteen service if you would like basic foods readily available upon check-in. The cost is $50, if you need this service, please advise us a few days before arrival. Taxi, public transportation & Mo-ped. We are approximately 15 minutes from L.F. Wade International Airport. Transportation is absolutely not a problem. The bus stops to and from the city and St. George’s are 2 minutes away. We can see the water barely from our location but its only a 5 min walk to the waterside and the beautiful Flatts bridge tide. Greg W.Long Beach Island, N.J.
Nice clean updated apartment, and a walk to the village. Downside no outdoor space or patio for the use of guest. No real views of a beautiful island. If you notify us of any specific activities we can have it pre arranged for you.